This is the 5th edition of International Youth to Youth Summit and we are delighted to bring it for the first time to Asia. This year we have carefully selected the theme that could be of an interest to young people from around the world and local youth. We will explore and build forecasts for the development of our society, global economy and local cultures. We will spot common tendencies in space industry and community development, we will make future projections of human capital and human rights development. The mission of the Summit is to bring together the brightest students, youth activists, community leaders, entrepreneurs, researches and businessman to start a dialogue, share knowledge and experience, inspire each other, and work together after the Summit on actions which would create a more just, tolerant and sustainable society today and tomorrow. 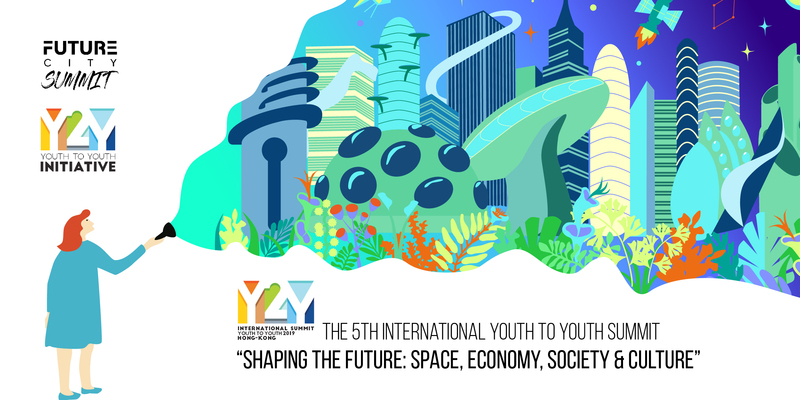 In order to face the challenges of tomorrow and explore the possibilities for building collaborative solutions, we have decided to host the 5th International Youth to Youth Summit in Asia. There are several reasons for this. First of all, Asian economies are digitally engaged, that leverage to support the economic growth. Secondly, digital is driving connectivity in Asian countries, from mobiles connecting consumers in rural areas to improving liveability and convenience in urban areas. In addition, Asia is championing in creation of smart cities and innovative spaces to live and work. The advancement of the region in adaptation of technologies to the needs of the future is considered as an advantage and will add right context to the Summit. Summit’s activities are designed to create a multinational functional dialogue and to inspire the development of new tools and creative means to build a sustainable future. Besides, the event aims at providing a number of networking sub-events including cultural activities and enhancement of the Y2Y Alumni Network, which serves as a space for strengthening unity between youth from different continents of the world and a hub for socially-beneficial actions. Equip delegates of the Summit with a unique set of skills, necessary for their development as leaders and professionals, and fulfilling their potential for fostering change and co-creating sustainable future. By finding answers to the key questions, by exploring the topics from different perspectives, by sharing knowledge, best practices and unique experience, by connecting active youth with practitioners and experts, we want to build an integral atlas of opportunities and actions that will foster change and help to move forward to the sustainable tomorrow.